Moving can be emotional. But for one woman, the emotion didn’t come from leaving behind memories; it came from not knowing if she’d ever get her memories back. Jill Ambrose told WINK News she waited more than two months to get her stuff from the movers all because of a fight over the final price. Nowadays her house feels more like a home, but during her first nine weeks in Naples, it sat nearly empty. The furniture she did have was either borrowed from friends or family, or bought just to fill the space, so she’d have somewhere to sleep and sit down for dinner. She didn’t know what happened to her actual belongings. Ambrose says she called a few moving companies but ended up going with the one she thought offered the best deal. She agreed to pay a little more than $1,200 to move from New Jersey to Naples. According to consumer attorney David Fineman, that should have been the first red flag. “If something is too good to be true, it most likely is,” Fineman said. Then there was the second red flag. But Fineman explains, not getting an exact inventory of what you want to be moved, either in person or by sending pictures, could cost you more money. And that’s exactly what happened. The day of the move, Ambrose admits she had a few more boxes than she originally was quoted for, but she was not prepared for what happened next. The contract jumped from just over $1,200 to $4,788. While the terms of her contract said additional items would mean a revised estimate, Ambrose was not prepared for such a big price hike. Under pressure, Ambrose says she signed the new agreement. After weeks of negotiating, and with her life in limbo, she ended up agreeing to a new price of just over $4,200. We spoke to the moving company and they told us Ambrose did have more items than she was originally quoted for, so they had to charge more. 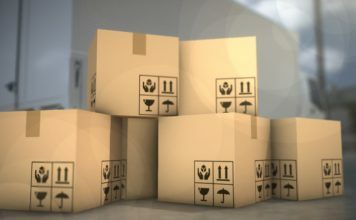 Click here to check movers registered in Florida. Click here for movers registered for interstate moves.